Your Maytag range may be one of the most frequently used appliances in your Arlington, North Richland Hills, and Dallas-Fort Worth area home. If you like to make home-cooked meals on your Maytag range, then you need to make sure it’s taken care of properly. Sometimes issues will come up that are out of your control, but they need to be fixed immediately. When that happens, simply call a Maytag range repair professional instead of undergoing the diagnosis yourself. It’s happened too many times. People think they can fix their Maytag range themselves. It’s great to be independent, but there are simply too many components in a range that could be faulty. If you try to fix the wrong one, you may end up having to buy a completely new range or spend a lot more money on repairing your repairs. There’s also the downtime — eating cold sandwiches or fast food can get old quickly. 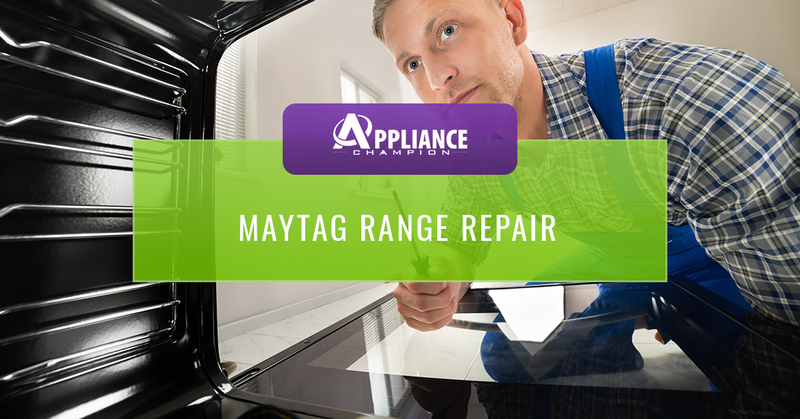 All of the Appliance Champion Maytag range repair professionals are certified to work on your Maytag range, so you can call us with confidence. We know how important it is to get dinner on the table every night, and your Maytag range plays a critical role in making that happen. Let us make dinnertime easier for you and your family! Having a working range is incredibly important. You use it to feed your family and you need one that you can rely on. 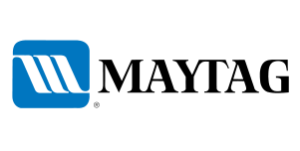 The Maytag range and stove repair techs at Appliance Champion understand the importance of having a working appliance and that by calling us, you are putting your trust in us — and we don’t take that lightly! When you call our appliance repair techs, you can expect a compassionate staff member to take your call and a caring Maytag stove repair specialist to come to your aid. Appliance Champion is pleased to serve Keller, Southlake, Grapevine, Colleyville, Bedford, North Richland Hills, Arlington, Saginaw, and Dallas-Fort Worth area.